West Covina CA | Flue Steam Inc. Located in the eastern part of the San Gabriel Valley, West Covina CA is a fairly typical suburban community. It experienced tremendous growth throughout much of its history—actually growing by 1,000 percent between 1950 and 1960 and continuing with steady growth up past the turn of the century. Fortunately, West Covina CA was well-planned and was able to accommodate this growth well. There is plenty of infrastructure and amenities for everyone. In fact projects to create more resources like shops and sports facilities are still ongoing. Needless to say with so many residents West Covina CA has a big demand for restaurants. If you own or operate any kind of restaurant in West Covina CA, you can trust Flue Steam with all your kitchen air control and fire prevention needs. 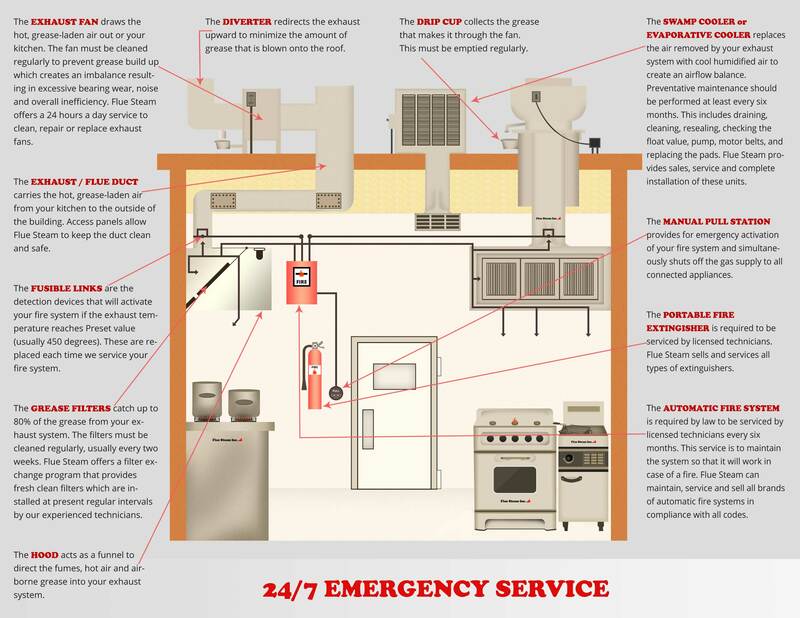 We can provide the thorough kitchen exhaust system cleanings you need to reduce your risk of fire and help you meet your code obligations, as well as the swamp cooler service needed to keep your kitchen cool and your staff comfortable.